Many U.S. citizens who are also legal permanent residents of Israel may be confused about their tax obligations in the U.S. They may also have questions about their duty to file Foreign Bank Account Reports (FBAR) FinCEN Form 114. One of these issues was on display in the recent U.S. Tax Court case of Cole V. Commissioner, T.C. Sum. Op. 2016-22. Petitioner Elazar Cole was a citizen of the United States, and in 2010 became a permanent resident of Israel after moving there the previous year. Cole qualified for a tax holiday in Israel which exempted him from tax in Israel on his capital gain sourced outside of the country. See the new version of the 5721-1961 Income Tax Ordinance. In 2010, Cole sold his stock in a U.S. corporation and realized a long term capital gain of about $114,000. However, he did include the capital on his tax return. The IRS issued a notice of deficiency and ultimately the U.S. Tax Court heard his case. Because the amount at issue was less than $50,000 and Cole requested it, the Court heard the case under its small tax case procedure. Cole argued that Article 15, paragraph 1 of the Treaty provides that “[a] resident of one of the Contracting States shall be exempt from tax by the other Contracting State on gains from the sale, exchange, or other disposition of capital assets”. In other words, that he should have to pay tax on capital gains because he was a resident of Israel. The Tax Court sided with the IRS. 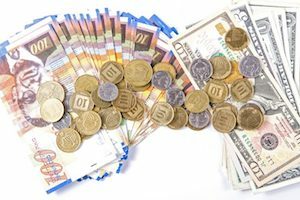 As the Tax Court pointed out, a savings clause is a fairly common treaty position and it had previously ruled on savings clauses in treaties between the United States and France, Canada, and Finland with similar results. While the Court didn’t get into details, the result might have differed if Cole had not been a citizen of the United States, but merely a resident of the U.S.
Another lesson, albeit not one that came up in this case, is that U.S. citizens living in Israel need to file FBARs, assuming of course that they have financial accounts containing more than $10,000 located in Israel, or indeed anywhere outside of the United States. 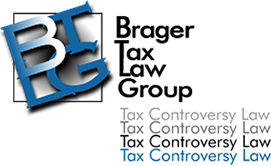 If you need more information we recommend you consult with a tax attorney with experience in international tax matters.